anybody expecting Nacho to be an automatic starter for Leicester will be in for a rude awakening. Even Slimani dey for bench. Musa is now surplus to requirements, like I predicted he would be a flop in the EPL. Hopefully Nacho will rise to the occasion and improve his game, because he should be a starter for this team, whether or not he fulfills his potential is up to him. He needs to add more hustle IMO. 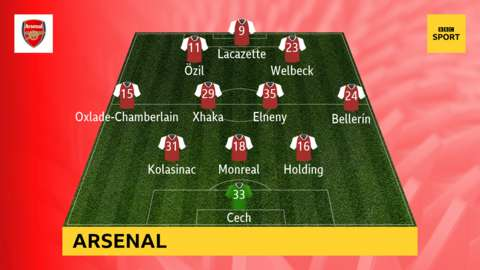 That Arsenal line up looks...terrifyingly solid. Lets Go for a Bang!!! Last edited by Cito on Fri Aug 11, 2017 7:23 pm, edited 1 time in total. I wish our boys the best today. Let's start well. I dey shake small make I no lie ....we have not been good on opening day in recent years. I'm wondering Who will be manning the middle of the three center backs. Musa needs to move on. "Who would the Arsenal fans rather re-sign, Sanchez or Ozil? 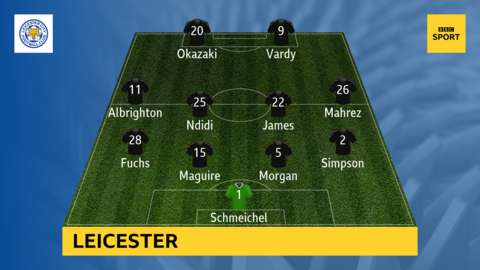 With Iheanacho getting the consolation goal off a bulala shot fired by Ndidi and parried into the path of Kelechi by Cech. Arsenal have to win this match ohhhh .... a poor result and these crazed up fans go fight wound Wenger and burn down the stadium.... Reports from those at the Emirates say the ground is thick with nervous energy and trepidation ohhhh..
New season...new hope. Here's to an amazing EPL title run..Hopefully Wenger doesn't screw it up!! 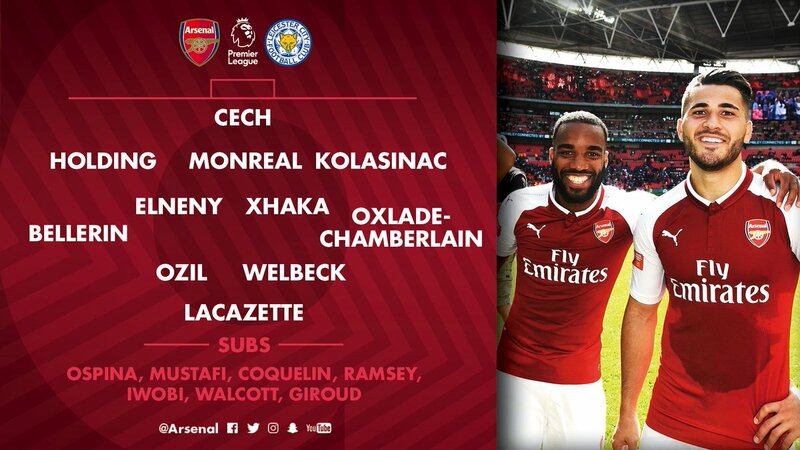 Let's go ARSENAL!! If he starts scoring he will be an auto starter. Simple and short. He will get a shot.